Most large construction management firms use the tremendous power of Building Information Modeling in the critical early phases of project planning. However, if you’re considering mid-sized firms (like Wise) or smaller general contractors for your project, make certain they know how to integrate BIM as confidently as we do. Especially in occupied spaces, BIM is important because it facilitates collaboration among architects, engineers, project managers and subcontractors. This allows decisions to be made early in the process, saving you valuable time and money. 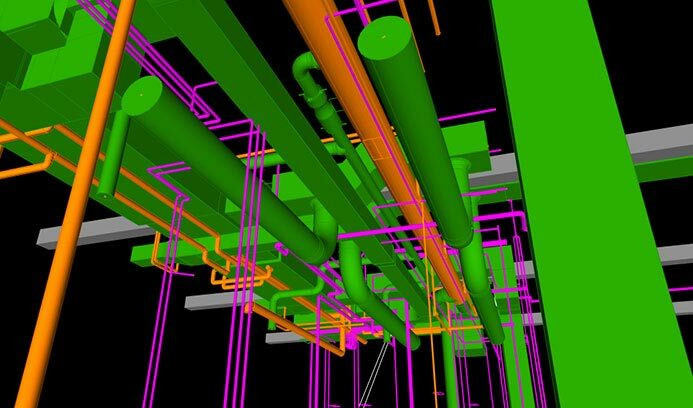 At Wise, we use BIM during MEP coordination to identify constructability issues and update construction documents. Determining how changes to any or all of these will impact both costs and scheduling, before anything is executed in the field, reduces costly missteps and delivers speedier, more efficient projects. During recent renovation of medical research laboratories at Dana Farber Cancer Institute, we used BIM for MEP coordination and clash detection. By building virtually first, we were able to identify conflicts ahead of time and complete this fast-track project on time and under budget. 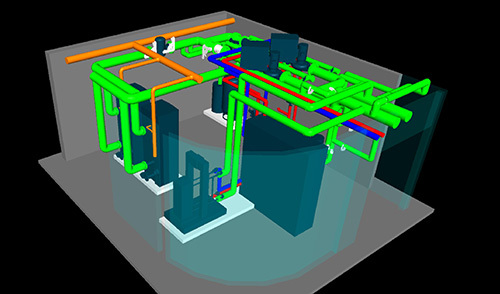 Again at Children’s Hospital DNA Lab, BIM enabled us to virtually integrate HVAC piping and duct work with MEP systems at a site with minimal ceiling space. Building electronically first saved countless hours and minimized disruption on this time-sensitive project.